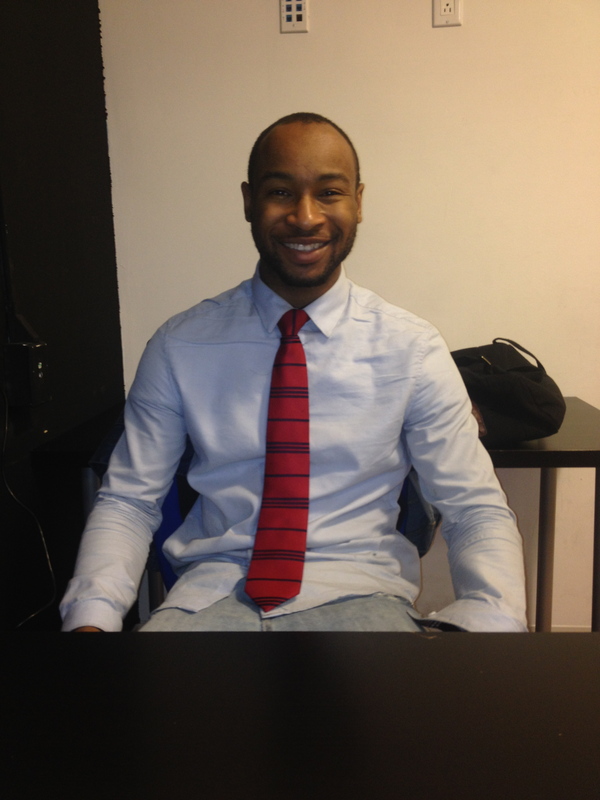 Emerging Leader Maurice came into office hours last week wearing his red power tie. Our initial plan was to unpack his “hustle” from the Work On Purpose workshop we did in our last Emerging Leaders meeting, but he announced that he wanted to share some “good news” and a “dilemma,” which were in fact related. It turned out that Maurice needed to choose between two very different housing options that each appealed to conflicting values, and the decision was overwhelming him. 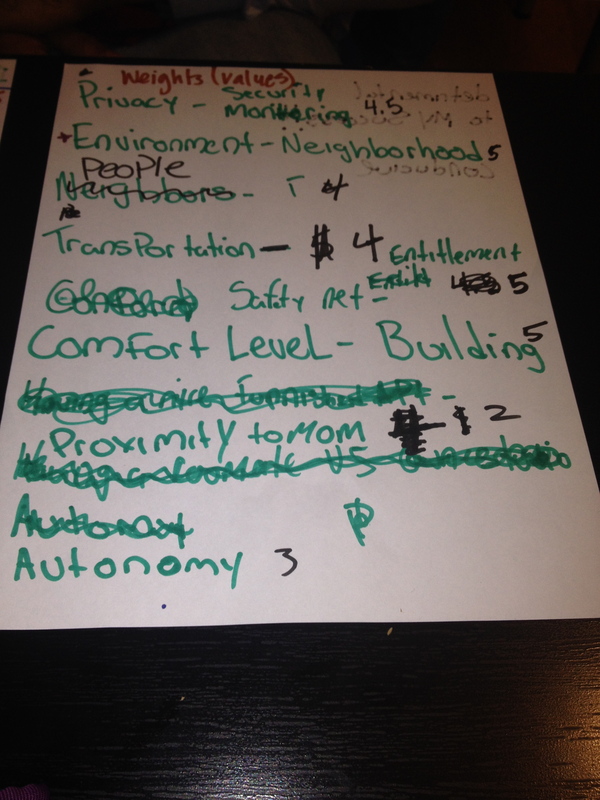 With his permission, I’m sharing some of the details of our meeting because it contains an exercise that might prove useful to the young people you work with (or to you yourself, if you’re in the market for a decision-making tool). I am very excited for my next guest blogger, who promises to post her thoughts within the next couple of days on work development programs for young people. Steph Cowling is a very dear friend who goes about program design in a thoughtful manner. A strong moral compass guides her approach to youth work. What is especially striking about her work is her natural habit of reflexivity: No aspect of program design is taken as a given. She will push you to consider the why and the how. She will illuminate the systematic implications of your decisions and decipher the coded messages your actions convey. She is, in short, a treasure. I always walk away from what she calls our “heart- and brainstorms” enriched and inspired. So you, dear readers, are in for a treat! [For Harry, who also believes] In the past year I’ve had the good fortune of meeting a lot of inspiring young people who have been in foster care and have creative ideas for businesses and programs that would improve the lives of our most vulnerable children and families. Three such individuals serve as youth advisors to Minds On Fire. To help them grow professionally, I started funneling resources to them individually, but it eventually hit me that I could easily scale my efforts. So I reached out to other young people I’d met and also asked some colleagues for referrals. The only requirements were that participants have direct experience with foster care and aspire to start a social enterprise or run a nonprofit organization. 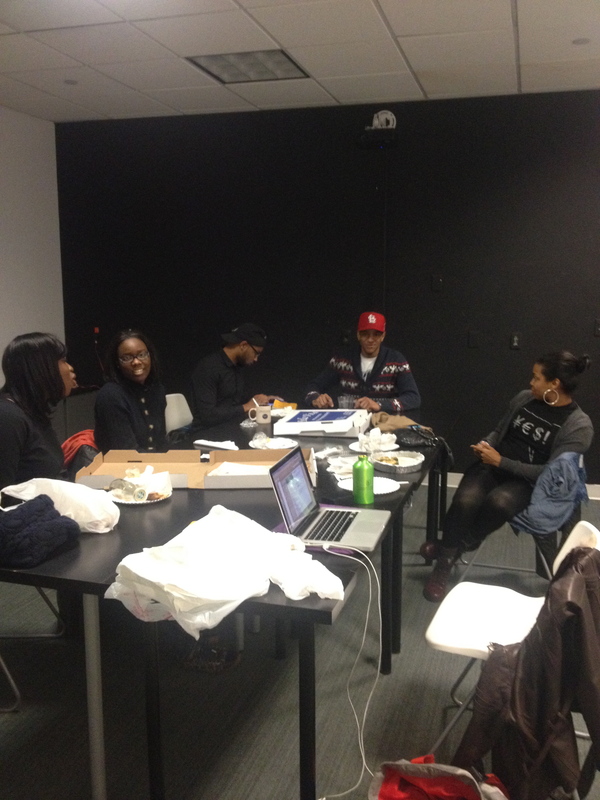 We had our first meeting back in September (in AlleyNYC‘s War Room, bien sûr!) and the energy was electric. One person remarked that it was so energizing to meet other young people in foster care who were going to college and intending to give back to their communities. After a particularly joyous meet and greet we talked about my initial idea for the group, and also what everyone else wanted to get out of our meetings. They’re permitting me to do most of the steering in the beginning in order to lay a solid foundation on which we can build. Keyes delineates these traits because he is committed to promoting a concept of mental health that is more solid and robust than our current understanding of it as the “absence of mental illness.” He suggests that we design our interventions with an eye to cultivating these traits in our young people. If we truly want to set them up for a life beyond subsistence or even “settling” (this is Keyes’s term for the complacency of the merely “happy”), then we must go above and beyond independent living and job skills and aim for the personal and professional fulfillment of our youth. For this reason I especially like the last trait. One of the many things I admire about The Brotherhood/Sister Sol is the fact that they codify love in their theory of change and mission. We don’t talk about love with our young people nearly as much as we should. [For Candice and Nahjee] I wish you ladies could have joined me for Lisette’s talk, “Multi-contextualism and the Consumption of Higher Education,” because I know both of you would have really enjoyed it. Giving you a digest below. We can dig into all this more deeply when we see each other next, because I would love to hear your reactions. Lisette made a very credible case for the dishearteningly low college graduation rates of the latino student population being a result of certain cultural pressures rather than a lack of academic preparedness. In other words, it’s not that latino students aren’t capable of hacking college-level courses; it’s the fact that within the latino community young people take on very adult roles within their families, and this sense of obligation—and very real responsibility—often gets in the way of attending to the competing demands of college life. If we understand young latinos’ desire for parental closeness and their role in contributing to the family income, then all of a sudden the phenomenon of high-achieving latino students dropping out of selective colleges in order to attend the community college close to home makes sense. 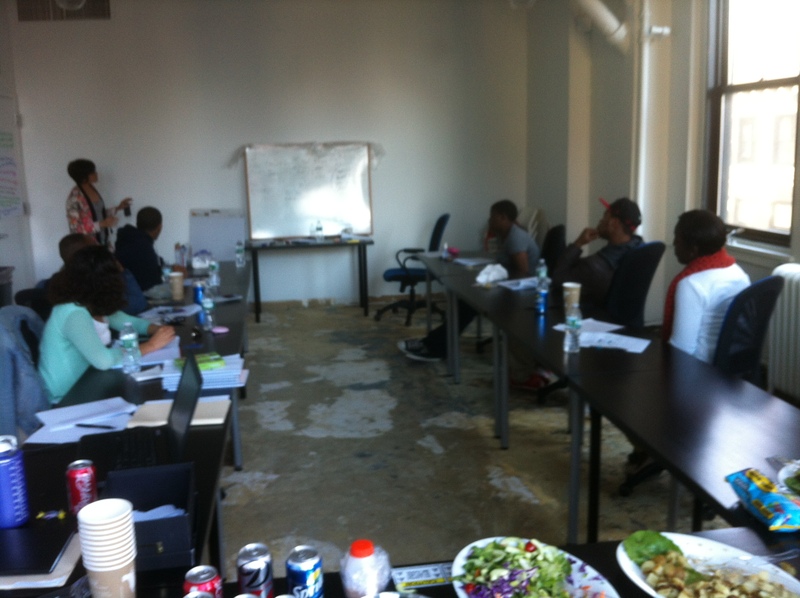 The second retreat workshop, “Bank Robbery,” came wholesale from MacGregor’s book. It’s an activity designed to lay bare the communication styles of a group by requiring it to solve a crime. Everyone got two or three unique clues, which they had to share orally, without writing anything down or moving around. YAB, in other words, had to talk this one through. And they had 25 minutes to do so. I had no idea if they were going to be able to figure out the mystery in time, though I informed them that the process would be illuminating either way. YAB spent the first ten minutes trying to arrive at a reasonable method for sharing their clues. They tried going around in a circle, then they attempted to jump around the group by linking seemingly related clues, and then they argued about whose clues were the most important. Lindsay, Amy, and I kept eyeing each other. I don’t think any of us were optimistic about YAB coming to a solution. The neurotic lesson planner in me always arrives to classes or workshops with a surplus of material because as a young teacher one of my biggest nightmares was to run out of things to do and—heaven forfend—have to wing it in the classroom. 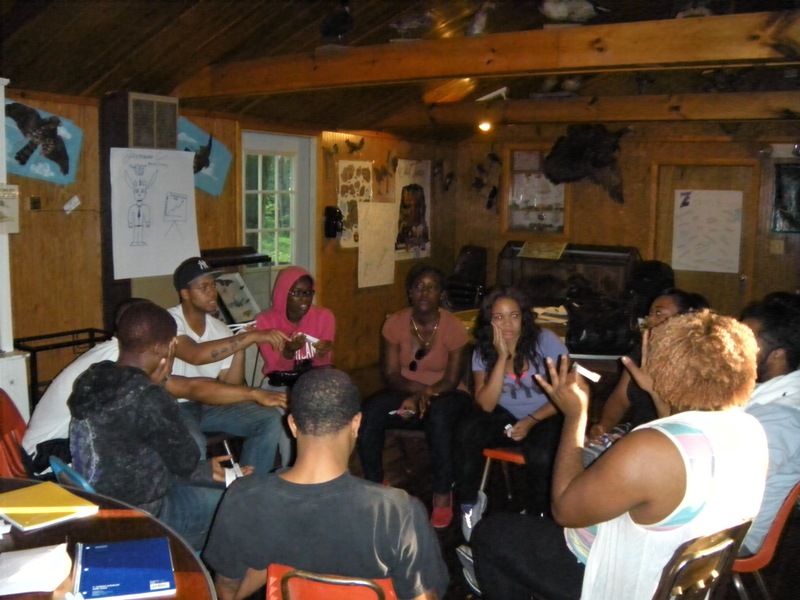 I went into the YAB retreat hoping to get through three team building activities. All of them were brand new, so I was a little nervous about inaugurating them and seeing how they would come together in practice. In the end we had to cut the 15-minute communication skills activity I’d planned and run a bit into the post-workshop hour. But Amy, Lindsay, and I were all expecting this retreat to be as much a learning experience for us as it would be for YAB, and we ended up being extremely pleased with the results of the team building activities.